Skincare is my favorite topic in the beauty world, but its so difficult to find a good product that really does what it promises to. I'm usually very careful with new products, especially with my dry-oily combination acne prone sensitive skin!. I know it sounds very problematic. 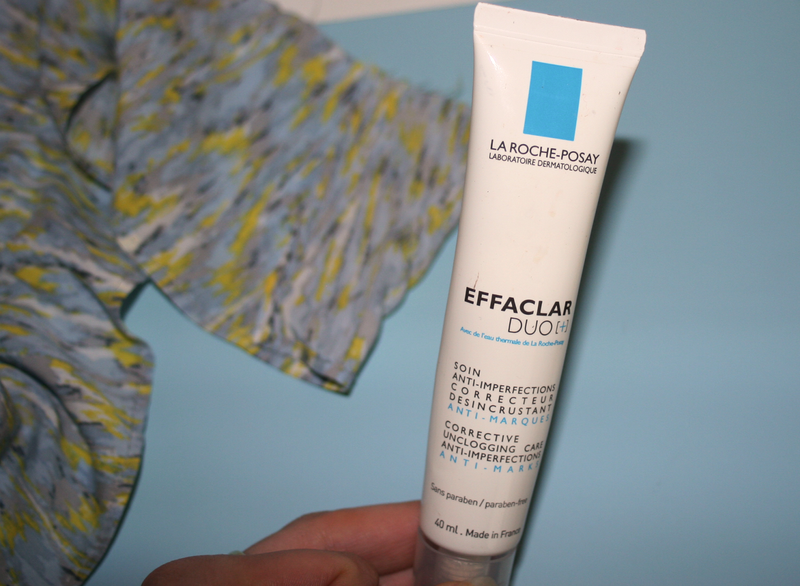 I had tried several products from the French brand La Roche-Posay and it's a brand that I trust! I find that it works very well on oily acne prone skin. 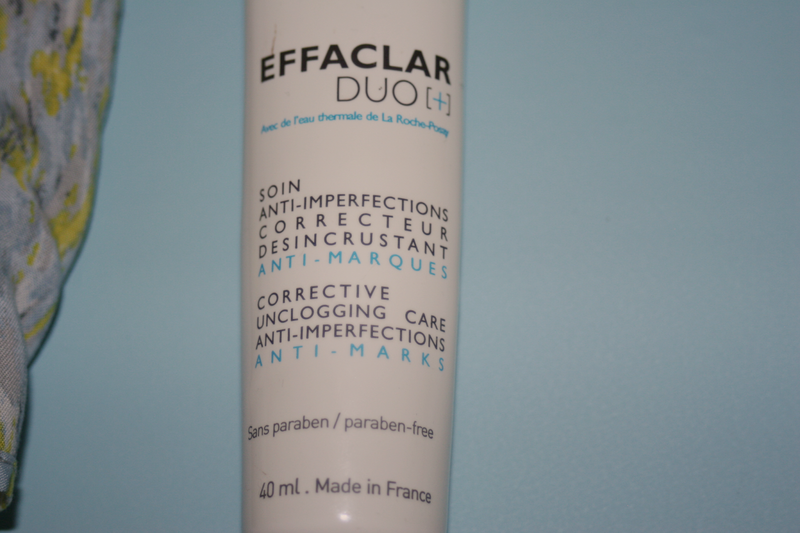 Today I will review one of my must haves products from this brand the : La Roche-Posay Effaclar Duo (+)! I have suffered from acne since I was a teenager, trying many 'anti-acne’ product out there without real improvements? The only thing that kind of helped my skin were prescriptions from the doctor. As I approached my mid-twenties my skin improved due to hormonal changes. However, I refined a breakout from time to time. Not so much inflamed red pimples anymore but more like clogged pores which can be red and stay forever. 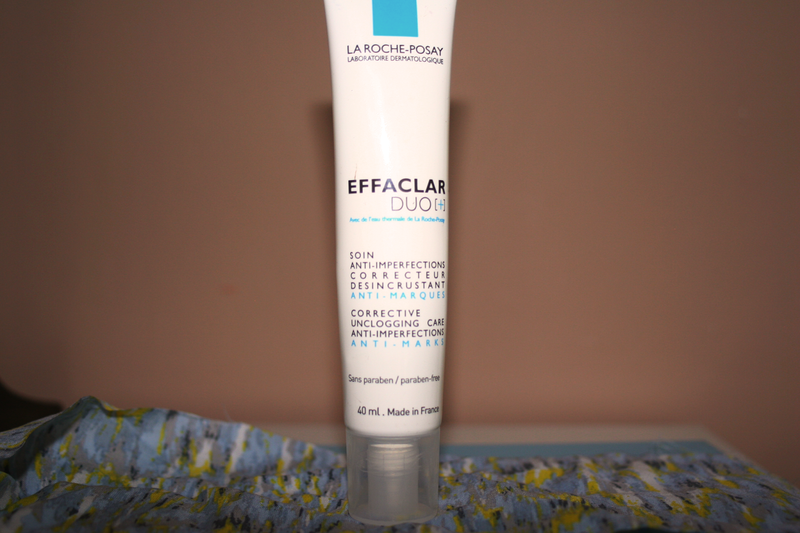 A while back I had one of this periods were my skin started to break out, so I got the La Roche-Posay Effaclar Duo (+) because of all the positive reviews and my previous I experience with the brand. Roche-Posay introduces new Effaclar DUO[+] anti-blemish cream, specifically formulated to target the key signs of oily, blemish-prone skin. Clinically proven to correct the appearance of blemishes. 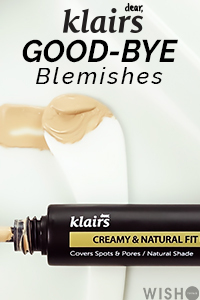 Unclogs pores and refine the look of skin texture. This daily skincare solution is suitable even for sensitive skin......Complete care with reinforced anti-imperfection efficacy, thanks to Procerad™, an exclusive anti-marks active ingredient. Sounds great right, now about the ingredients, which are so important when it comes to skincare and it's effectiveness. procerad™ is there patented ceramide that promises to protect against the appearance of red or brown spots by suppressing the excessive production of melanin that is present when spots first appear. Further there is also Niacinamide, a very famous and effective cell-communicating, anti-inflammatory ingredient. Many studies have shown that it increases barrier function and ceramide levels and also lightens hyperpigmentation. Piroctone Olamine is an anti-yeast anti-bacterial ingredient, also used as preservative and antidandruff in shampoos. Here it's function is to combat bacterial proliferation on the skin. LHA and Salicylic acid these are often used as acne treatments. Numerous studies showed improved skin barrier function and increased collagen production. 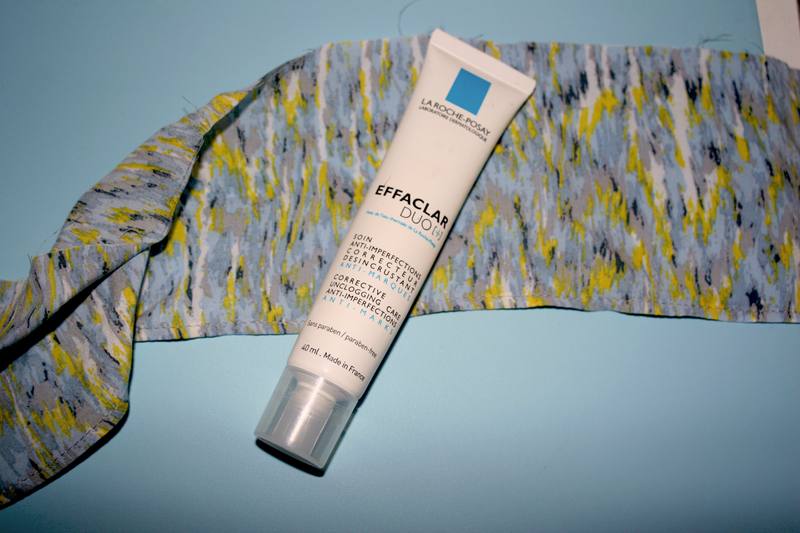 It's antimicrobial, anti-inflammatory, and exfoliating! Additionally, very easily absorbed by the skin compared to other ingredients. Linoleic Acid is anti-inflammatory, moisturizing and healing supportive ingredient. Furthermore, it penetrates the skin and can help facilitate the penetration of other active ingredients. OMG it's amazing, what a great ingredient list ! The texture is gel-like and a little bit is enough to cover the whole face. I used it regularly when my skin was troubled and it definitely reduced redness and active acne. Skin cleared up, the red nasty pimples reduced in size! Every time when I feel like my skin is prone to blemish I use this product after cleansing. It's really good for combating oily skin, but much to drying for my combination to dry skin. When I used it as a moisturizers I had dry patches and my skin was dehydrated. But you can use a moisturizer after and the problem is solved. This is actually what I did later, used it like a 'treatment' before a moisturizer. Nowadays, after several facials and another skincare routine which I love, I still reach for this product every time I see some blemishes. The product gave my over sensitive skin no adverse reaction! The only thing I didn't like about it, is that it didn't do much for my clogged pores. I saw a reduction in clogged pores but still had many left (my skin is very problematic, others may not experience this). I love this product, my fiancée uses it all the time as he gets quite a few blemishes, probably because of his beard! I recently purchased this the other day after hearing many good things about it! Glad to know it worked super well for you so I'm looking forward to using it for myself! I'm also skeptical about how it would 'unclog' pores but as long as it reduces redness and blemishes, I'm happy !